Green Olive Tours Blog • Palestine • Israel: "Be Careful of Arab Women, Who Have Lately Proved as Dangerous as Men"
"Be Careful of Arab Women, Who Have Lately Proved as Dangerous as Men"
Highlighting the participation of Palestinian women in the struggle for national self-determination is important, but also often misleading. Overemphasising and celebrating their role can obscure the challenges that they face within their own society. Applying gendered theories which solely focus on their position within Palestinian society on the other hand too often ignores the extent to which the Israeli occupation intervenes with and disrupts all dimensions of Palestinian life. Especially Western analysts commonly concentrate on the personal/gendered circumstances of the women's lives in question, and elide the Occupation, which however should be seen as the single most important motivation for women to participate in resistance activities. Palestinian women's participation in resistance activities is by no means a recent phenomenon, but goes back more than a century and even predates the establishment of the British Mandate over Palestine. The first women to actively oppose the activities of the Zionist movement were those ones whose communities came under physical attack first. Peasant women were among the first ones to act against early Zionist agricultural settlements and even with the involvement of the British after 1917 continued to defend their villages in spite of raids, searches and arrests. They built roadblocks and trenches, transported food, supplies and weapons to fighters, and scouted and monitored the locations and movements of the enemy. Many women also learned how to shoot guns and fought alongside men in the defence of their villages. Although their movement was more restricted than that of their rural counterparts, Palestinian women from the cities did also actively participate in resistance activities. Rather than getting physically involved in battle, they formed charitable organisations, collected funds for the resistance, held demonstrations, strikes and formulated and circulated petitions. In 1921 the Palestine Women's Union was founded which structured elite women's active participation in the resistance against British rule and the Zionist expansion. 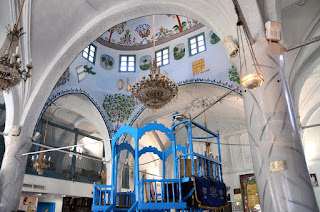 Following the Al-Buraq Uprising in 1929, also known as the Wailing Wall Incident, the first Palestinian Arab Women's Conference took place in Jerusalem. The over 300 participants decided to organise a boycott against British products, to establish a media centre to globally circulate information about the happenings in Palestine and to organise more protests. In addition, a delegation of 14 women met with the British High Commissioner of Palestine, demanding the cancellation of the Balfour Declaration and the halting of Jewish immigration to Palestine. With the establishment of an armed movement through Sheikh Izz al-Din al-Qassam in 1935, Palestinian women started to participate in structured military work. 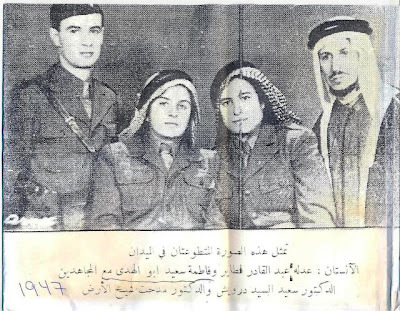 The first documented female martyr was Fatmeh Khalil Ghazal, who was killed during the battle of Wadi Azzoun at the onset of the Arab Uprising in 1936. According to a Zionist intelligence report, during a demonstration in Nablus in 1931, a woman killed a policeman. 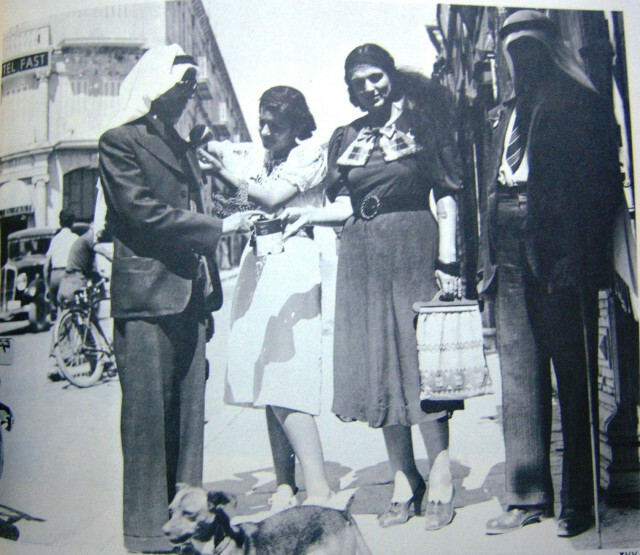 With increasing tensions and more frequent fighting between Palestinians, Jews and British various local women groups emerged, operating under names, such as "Mala'ikat Al-Rahma" (Angels of Mercy), and provided fighters with food, weapons, but above all with first aid and other medical services, which also meant that they accompanied the men to the battle fields. Other groups also reportedly trained women in using weapons and fought alongside the men. 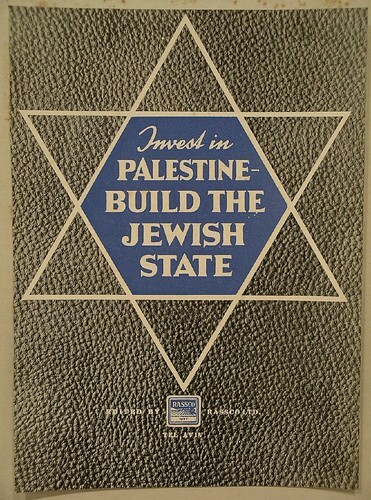 Immediately after 1948, Palestinian political activities were largely structured through secret political parties. In the beginning, women were mainly permitted minor roles, they participated by performing secretarial duties, or by recruiting more female members. With the founding of the Palestinian Liberation Organisation and its dubdivision of the General Union of Palestinian Women (GUPW) in 1965 this should change however. The main activities of the GUPW, as a charitable organisation, consisted in organising literacy, sewing, first aid and nursing courses, as well as founding of orphanages, hospitals, and schools. Another part of it concentrated on writing to the media, organising strikes and protests, and lobbying. Finally a considerably amount of women also joined the ranks of the PLO resistance fighters and received military training in Gaza and the West Bank, as well as in refugee camps in other Middle Eastern states. Probably the most famous of the women of this era was Leila Khaled, whose family had fled from Haifa to Lebanon in 1948, and who had become an active member of the Popular Front for the Liberation of Palestine. Khaled was involved in two attempts to hijack airplanes carrying Israeli passengers. 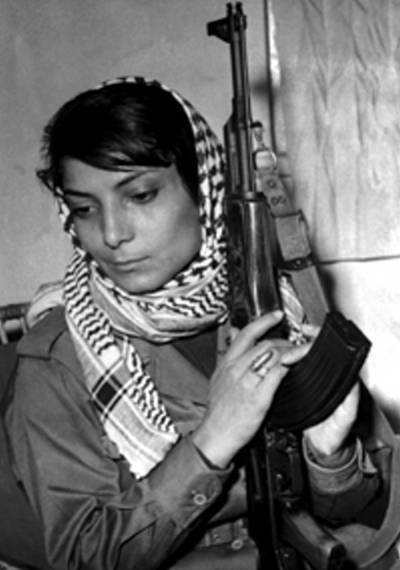 Another iconic female militant is Dalal Mughrabi, who in 1978 reportedly led a unit of 22 men to hijack a civilian bus in Israel in order to demand the release of Palestinian prisoners. During what has become known as the Coastal Road Massacre a total of 38 Israelis were killed, 72 were wounded. Mughrabi and nine other militants were also killed. The early stages of the First Intifada, which erupted in 1987 in Gaza, were characterised by a large scale civil disobedience movement which called for strikes, boycotts of Israeli products, and the refusal to pay taxes among other things. Palestinian women of all ages and social classes participated in those activities, as well as in demonstrations by throwing stones, building barriers, raising Palestinian flags and preventing arrests by Israeli soldiers. A journalist for the Israeli newspaper Yediot Ahronot was quoted as warning soldiers to "be careful of Arab women, who have lately proved as dangerous as men". The beginning of the First Intifada is often described as having transformed the boundaries of Palestinian women's social status: "side by side with their fathers, husbands and sons, they participated in every aspect of the struggle." 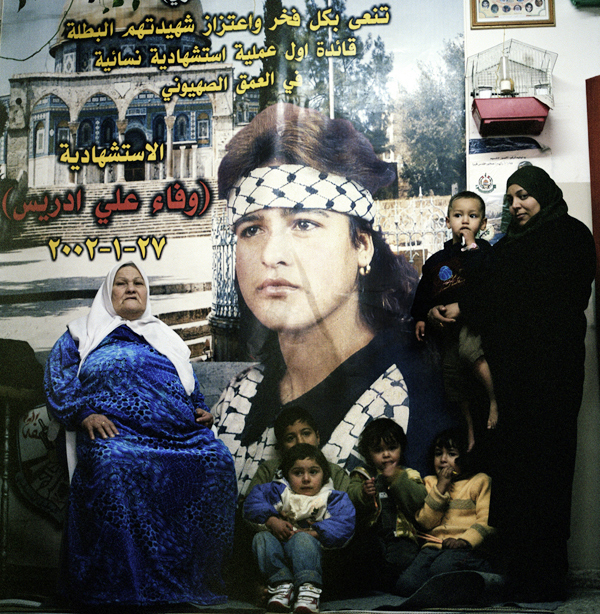 However, a few years into the uprising, the centralisation and formalisation of resistance activities through the PLO, and the emergence of Hamas in Gaza, which attempted to push women back into more traditional gender roles, drastically diminished the avenues of political participation for women. As opposed to the First Intifada, the second uprising which started in 2000 was primarily characterised by armed conflict, guerilla warfare and terrorist attacks. While during the First Intifada "the division between combatants and non-combatants was very fluid", the Second Intifada's combatants were "highly defined by gender and age", most of them being young men. However, in January 2002, Wafa Idris shocked Israel and the Western world when she detonated a bomb in the centre of Jerusalem and became the first Palestinian female suicide bomber. The phenomenon of female suicide bombers has been widely discussed and was often perceived as exceptional in the media and also in the academy. Yet looking back at the history of women's participation in resistance activities against the Israeli occupation, women becoming actors in suicide bombings should rather be seen as a logical extension of this continuum. Especially Western academics and media ignored this history and explained Idris' action through her gender and her personal circumstances of being a divorced woman. Female suicide bombers, they claimed, see their actions as “a way to resist patriarchal subservience, erase stains due to violations of sexual behaviour, or restore a tarnished family or personal reputation”. Such an analysis is problematic in many ways, as it dismisses life under occupation as a main reason for the women's actions and too often relegates them to a status of disgraced and marginalised victims of their society. 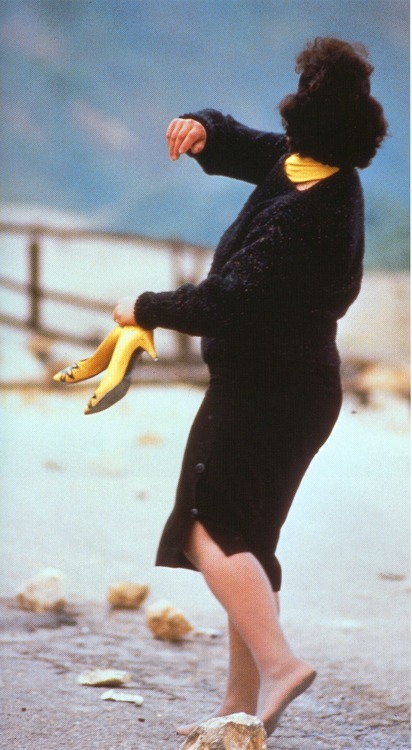 Idris was not the only woman to carry out a suicide attack. The resistance movement clearly saw the advantages that women combatants have over men; considered to be "harmless" they usually raise less suspicions, are less likely to undergo rigorous body searches and can therefore hide explosives and weapons more easily. Palestinian women were thus not only carrying out attacks but were also involved in planning and facilitating attacks. 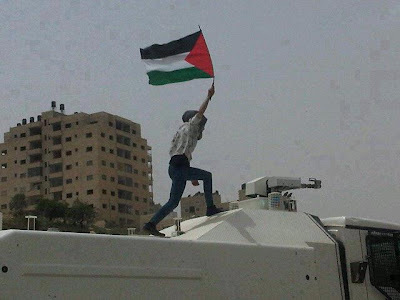 After the end of the Second Intifada, Palestinian resistance moved back to focus on popular unarmed activities, such as the weekly Friday protests in numerous West Bank villages, the BDS movement, and the prisoner strikes. Like their predecessors, many women still face obstacles and restrictions through their families and society at large, yet they continue to play a significant role in all of those activities. The introduction of social media networks equipped women with new avenues to easily participate in the struggle, and they are among the most fervent bloggers and twitts, reporting eloquently about the situation in Palestine and mobilising support for their struggle. In addition, the Arab Spring instilled the Palestinian resistance movement with new hopes and the large participation of women in Egypt, Tunisia and other countries inspired many young Palestinians, both men and women. Palestinian women are obviously aware of their position in society and many see their struggle as twofold, and hope that their participation in national liberation activities will eventually also challenge gender subordination and entrenched stereotypes in Palestinian society.